Meatloaf takes a turn towards Greece with this easy recipe! Add Greek seasoning to a standard meatloaf mixture and finish it off with a creamy cucumber sauce. This Beef. It’s What’s For Dinner. 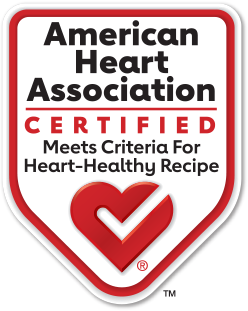 recipe is certified by the American Heart Association®. Preheat oven to 350°F. Combine Ground Beef, bread crumbs, onion, milk, egg, 1 tablespoon Greek seasoning and salt in large bowl, mixing lightly but thoroughly. Shape beef mixture into 10 x 4-inch loaf on rack in broiler pan. Bake in 350ºF oven 1-1/4 to 1-1/2 hours, until instant-read thermometer inserted into center registers 160°F. Meanwhile, combine yogurt, cucumber and remaining 1-1/2 teaspoons Greek seasoning in medium bowl. Season with salt, as desired. Set aside. Let stand 10 mninutes; cut into slices. Serve with cucumber-yogurt sauce. Nutrition information per serving, using 96% lean Ground Beef: 198 Calories; 6 Calories from fat; 6g Total Fat (2.7 g Saturated Fat; 0.2 g Trans Fat; 0.5 g Polyunsaturated Fat; 2.2 g Monounsaturated Fat;) 102 mg Cholesterol; 247 mg Sodium; 6.3 g Total Carbohydrate; 0.4 g Dietary Fiber; 28 g Protein; 3 mg Iron; 381 mg Potassium; 5.1 mg Niacin; 0.4 mg Vitamin B6; 2.4 mcg Vitamin B12; 6.3 mg Zinc; 26.3 mcg Selenium; 104.7 mg Choline. This recipe is an excellent source of Protein, Niacin, Vitamin B6, Vitamin B12, Zinc, Selenium, and Choline; and a good source of Iron, and Potassium.